Of course, we know that your love for someone should be a matter for daily celebration; however, an extra pinch of romance on Valentine’s Day won’t do any harm; in fact, it’s going to be an addition to your list of lovely memories. Because Royal Maxim Palace Kempinski appreciates these kinds of moments just as you do, the hotel celebrates Valentine’s Day for a whole month, presenting a list of offers that will help you show your significant other some love. Spend a night at any of the hotel’s deluxe double rooms at special rates that start from 3350LE (including service charge and taxes). The offer comes with a heart-shaped cake, and breakfast for two at The State’s buffet. 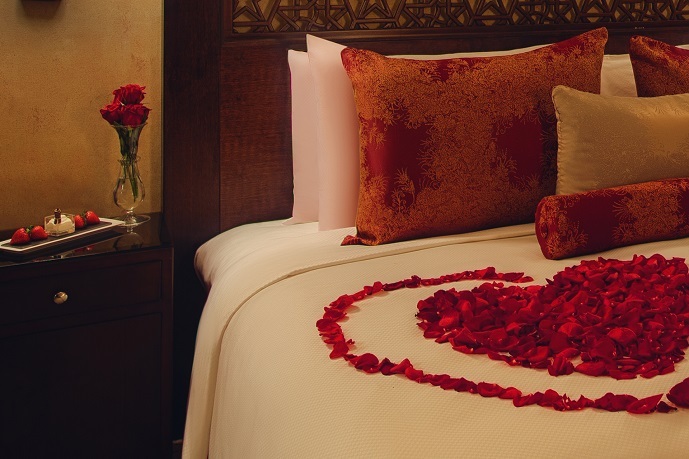 You can also go an extra mile by ordering in-room romantic decorations for a special price. Speaking of being extra, check out the various offers of Royal Maxim Palace Kempinski’s spa, Resense. 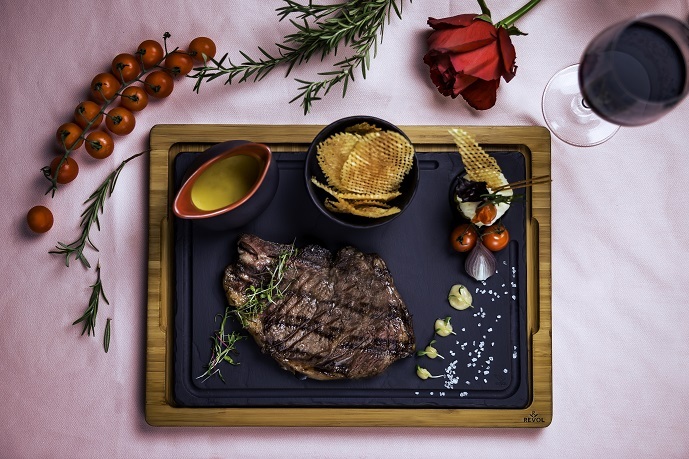 If you’re looking to indulge your gastronomic tastes, no worries, because Royal Maxim Palace Kempinski’s various culinary outlets are set to celebrate Valentine’s, each in its own special way. From Saturday to Thursday, Romanov European Grillroom is celebrating the French way with soft tunes of a saxophonist, serving a six-course set menu at the price of 1200+++ per person. The menu includes delicacies like Armagnac-flavoured goose liver terrine, and dry-rubbed aged veal or beef and tenderloin, which comes with saffron mash, roasted baby carrots, and port wine truffle sauce. The hotel’s Italian restaurant Lucca is also serving a six-course menu for 850LE+++ per person. Designed with love by Chef Giovanni, the menu includes signatures like seared shrimp on mascarpone and porcini risotto, beef fillet, and frosted apple parfait with apple cinnamon samosas, raspberry cream, and red berry jelly for dessert. Taking place daily from Saturday to Thursday, Lucca’s romantic date nights are set to be complemented by a guitarist playing a round of romantic tunes. Alternatively, Yana celebrates Valentine’s with an exclusive selection of Asian delights. The daily celebrations see the restaurant’s very own chef flaunting a round of Indian classics throughout February, in addition to a host of Chinese items that are on a special menu, which will be available until the 20th of the month. Finally, couples looking for an unusual and unique dinner experience, will be pleased to know that Royal Maxim Palace Kempinski will be hosting two Le Petit Chef dinner shows this Valentine’s Day. For more information and reservations, call 01097111151. You can also checkout Royal Maxim Palace Kempinski’s website.